Just five more minutes. No, I’m not desperately hitting snooze. In fact, I haven’t even gone to sleep yet; so engrossed I am in getting to the end of the next word, page, chapter. 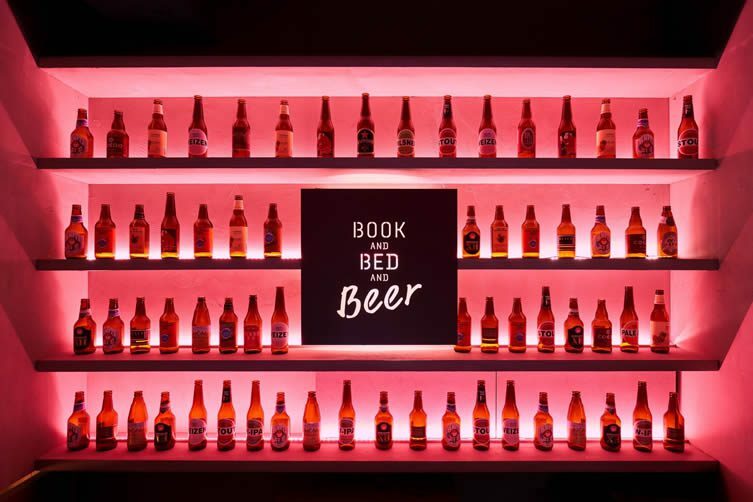 In these heady days of falling asleep in front of Netflix and 3am Tweets, it’s always good to remember the intrinsic pleasure of getting into bed with a good book. 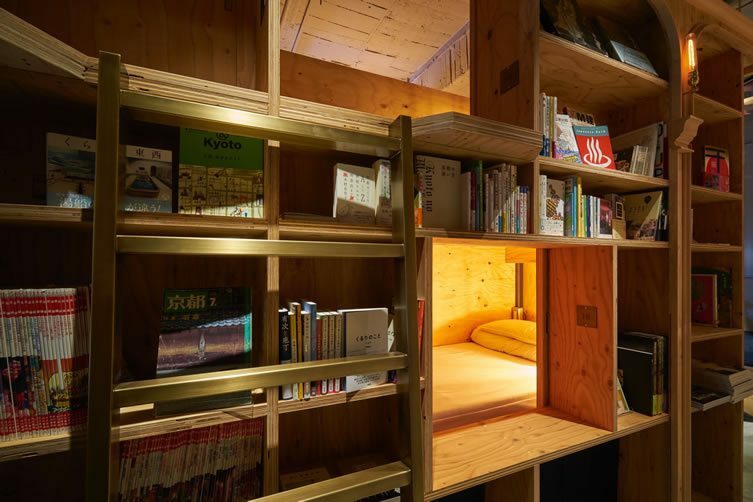 The folk behind Japan’s biggest real estate website, R­-STORE, have gone one step further; creating their very own ‘accommodation bookshop’ dedicated to that ageless pastime of a book at bedtime. 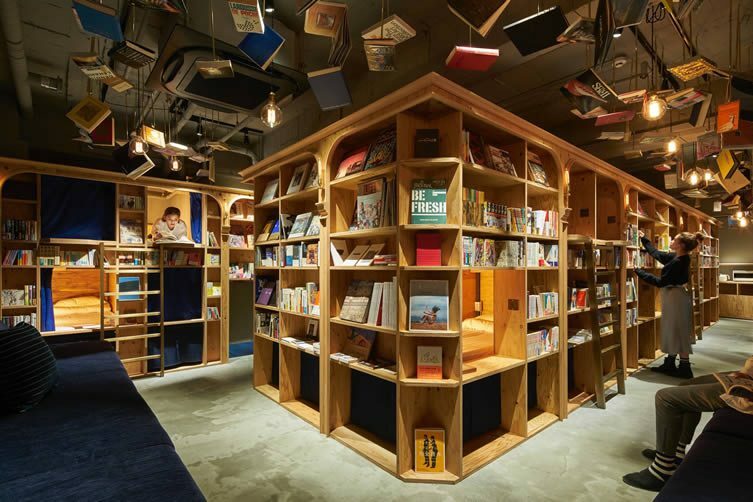 Following a debut in Tokyo, Book and Bed Kyoto sees bound tomes hang from the ceiling and walls; the doors to each bedroom/pod created by bookshelves. Even small library style ladders are provided to reach the higher level ‘rooms’. 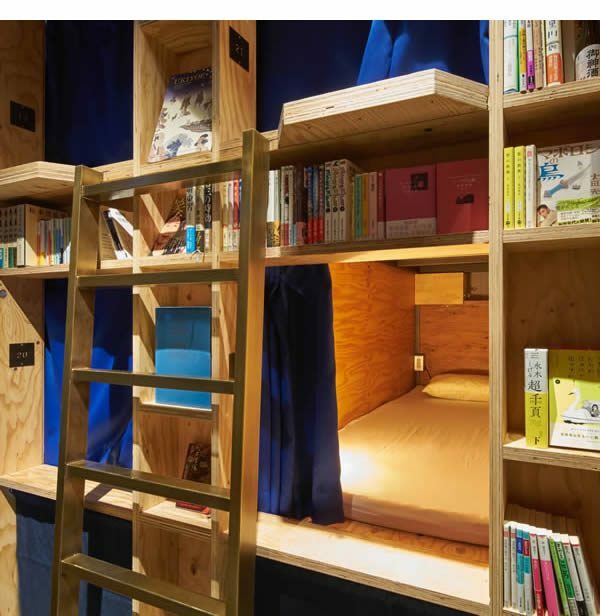 The books are not just for decoration, mind, Book and Bed have over 5,000 references in Japanese and English to delve into during your stay. 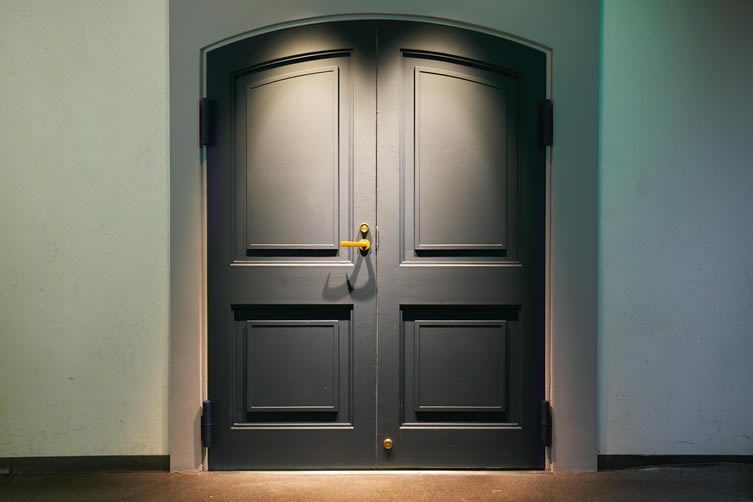 The accommodation itself takes on the form of a hostel: shared bathrooms and common living area offer a communal space beyond the books and beds, and day visitors are invited to visit for some peace, quiet, and the inevitable reading at a reduced rate. Although Bed and Book is a celebration of pen and paper, its interior design has not been overlooked. 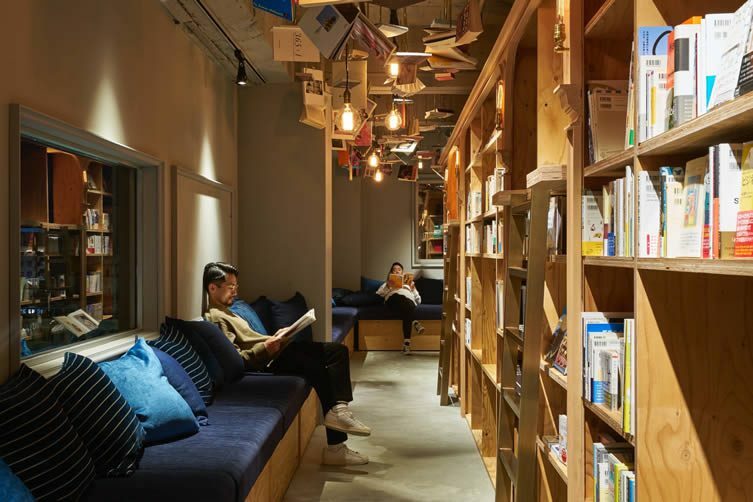 The bookshelves are bespoke, and large sofas line the walls ready for you to curl up with your printed pals. The exposed concrete floor offers a dash of industrial chic to this library with a twist. 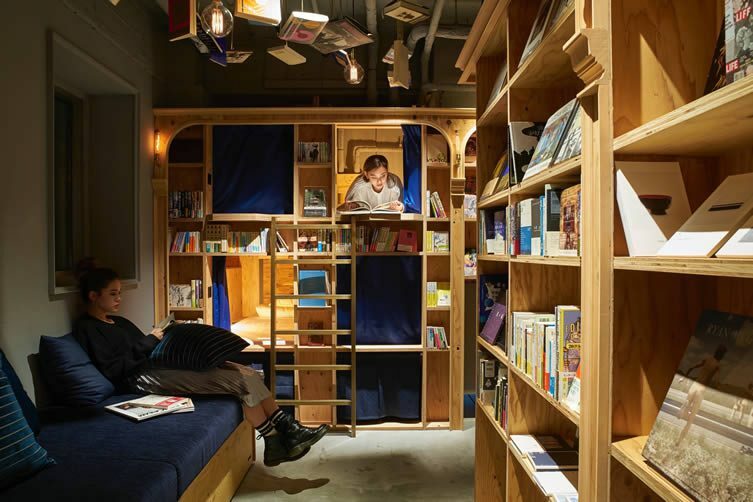 Book and Bed Kyoto at night, a bibliophile’s delight.